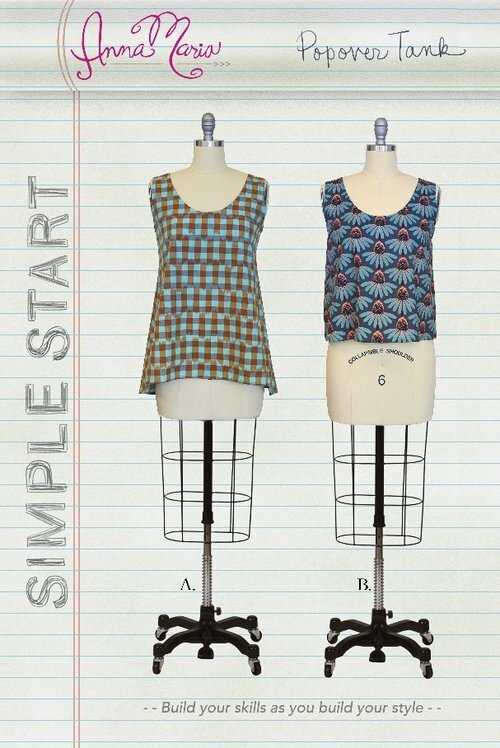 The Popover Tank is one of the three new patterns in my SIMPLE START skill building collection of patterns! Skills learned in this are a curved rolled hem, and finishing edges with knit strips! The pattern features two options, a cropped that sits right at waist and a high-low that flatters everyone. These patterns are perfect to teach from and were developed from the most popular classes that I have developed for my shop, Craft South.